I imagine like most people, when I think of big, round flatbreads I think of Mexican Tortillas. What else is there? Well, I’ve recently learned that the Italians have their own answer, made with olive oil and called a ‘Piada’. I’ve learned that it’s often sold as a street food in the form of folded warm sandwiches. See, even us serious food lovers are always learning. And I love that about food: there’s so much of it that you can constantly be discovering new things! Blogging is great for just that and I welcome emails telling me about something I haven’t tried before… I do want to eat the world after all. 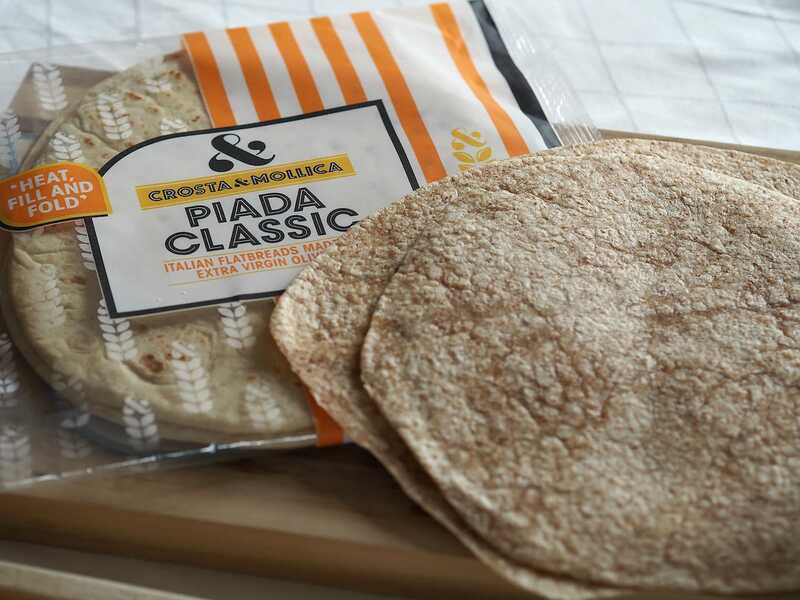 In this case I was sent some Piada to try from a brand called Crosta & Mollica. On first inspection they’re pretty damn similar to the tortillas we all know so well. But once you open the packet they start to give away some Italian secrets. Firstly, they don’t smell floury like a tortilla; they’re quite perfumed and you can really smell the olive oil in them. You can feel the olive oil in the breads as well. Not in a greasy way, but they feel very smooth and supple. It seems only fitting to fill these flatbreads from the Med with Italian inspired flavours. Here’s my super quick, delicious inspiration for a high-protein meal with an incredible dressing that screams Summer! Cover your chicken in all the ingredients and leave to marinate for 30 minutes. Then griddle on each side for 6-8 minutes until cooked with lovely charred bits. 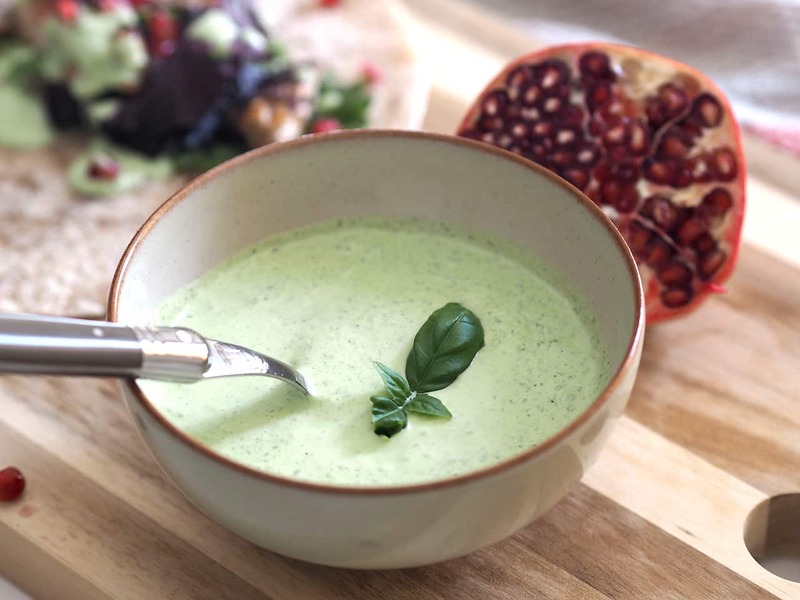 Whilst that’s cooking, add all of your ingredients to a blender and whizz on high for about 10 seconds then add to a serving bowl. 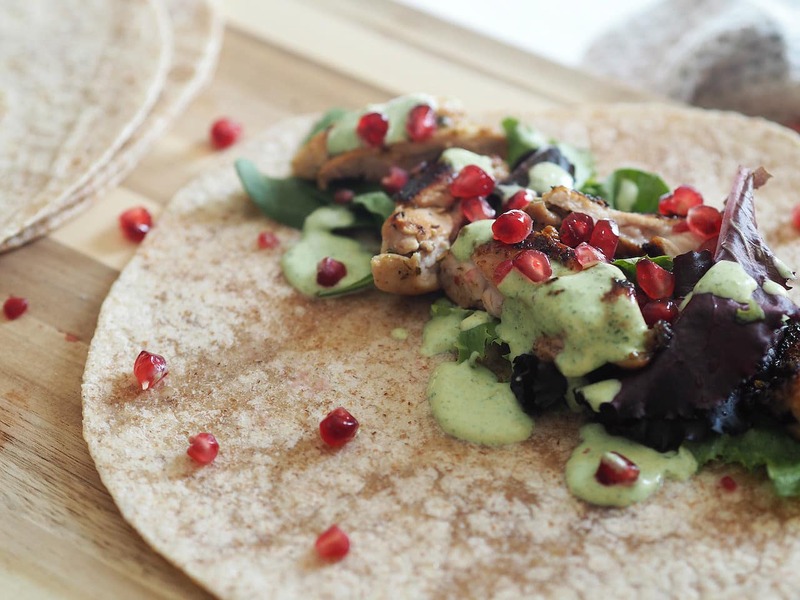 Team your chicken with some peppery Italian salad leaves (radicchio, rocket, spinach) and finish with a scattering of juicy pomegranate seeds. 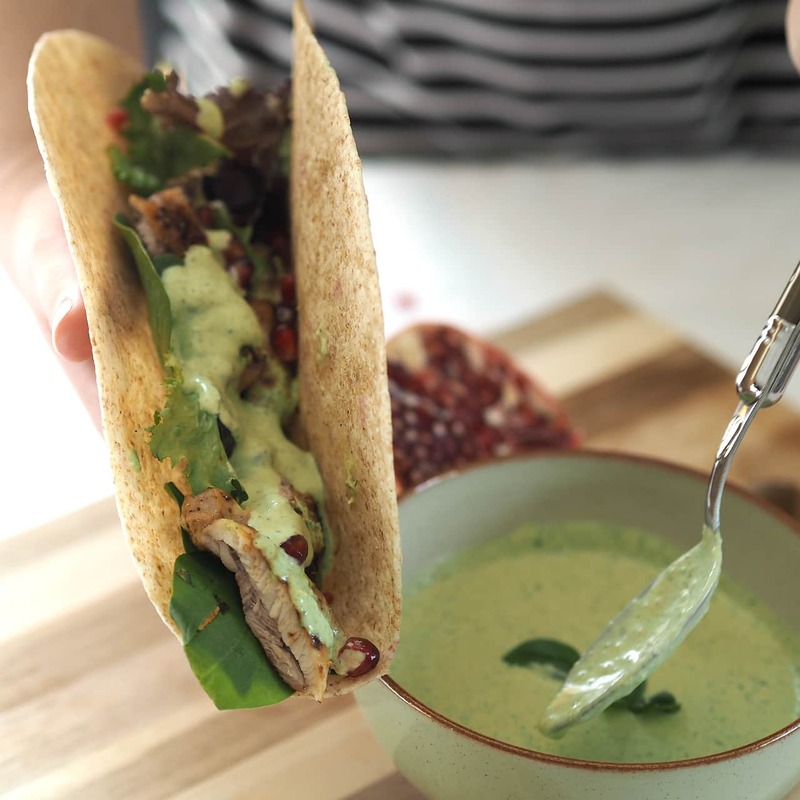 Pile your Piada with strips of herby chicken and dollops of my fresh Summer dressing and tuck in. Here’s something different about Piada: unlike a tortilla which you traditionally wrap up, the Italian flatbread is instead folded in half. Now, I’m used to seeing how much filling I can cram into my flatbread as a some kind of personal challenge, but by only folding it in half there’s a limit to how much filling will fit, so you’re forced to be a little more sensible with your portions… and with Summer around the corner that’s pretty welcome. I was sent the white and brown options and got stuck into brown straight away because I love that nutty flavour. These are £1.79 in Waitrose which is a bit more expensive than a tortilla but I think they justify the uplift with that lovely olive oil. A tasty product for quick-fix meals. Are you a fellow flatbread fan? (Try saying that five-times).